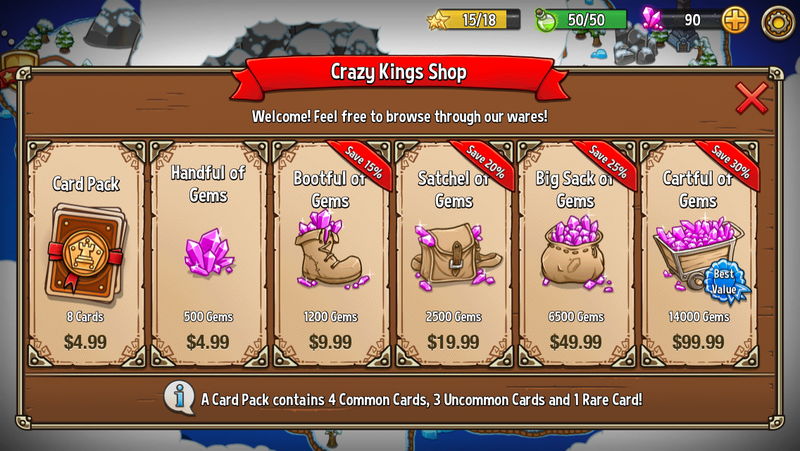 Crazy Kings (Free) is a creatively cartoon-y tower defense adventure which documents one hero’s valiant attempt to rally troops and save the world from the siege of the titular raving royals. Along the way, players will reinforce battlefields ranging from towers and arenas to icebergs and (obviously) run-of-the-mill fields from enemy invaders. In exchange for a successful campaign, the player is rewarded up to three pieces of loot (one for each potential Star earned) with the available prizes being some combination of in-game currency known as Gems, Armor for protecting your main hero or Cards for summoning new units. The completion rewards are displayed right at the beginning of the level as an added incentive to try, try again if at first you don’t succeed. There are also a myriad of other distractions along the way that promise new and exciting rewards on a “give it a try, once (or twice) a day” basis without using up any main-story-progressing energy. But don’t get too crazy, energy in Crazy Kings doesn’t come cheap. Each level, whether first run through or reprise, will cost you ten green bottles and since you only start with 50, that means you could be running out of treasonous activities pretty quickly. 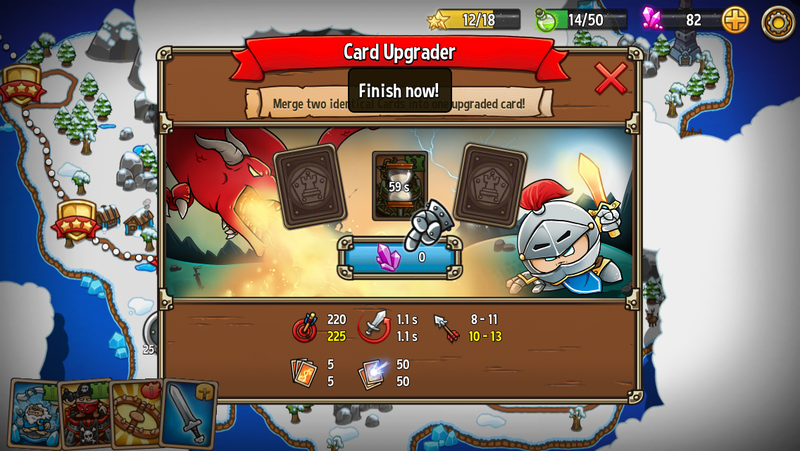 Unlocks and upgrades are (literally) based on the luck of the draw, as new in-game toys are presented in that increasingly popular “deck of cards” format that everyone is so excited about these days. Extra cards can, unsurprisingly, be purchased at the rate of $4.99 per pack of 8 random cards for players feeling both lucky and wealthy (or also desperate, I suppose). 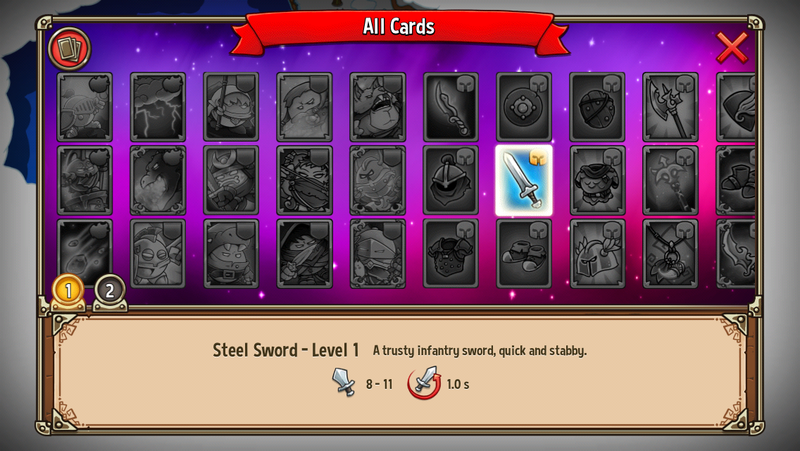 And although undesirable cards can’t be sold, there is a system in place for an item upgrade by combination, so nothing will ever be wasted. Also, the Daily Treasure Chest allows players to select one free card after 12 PM from a whole slew of them Memory Game- style to lessen the chance of unwanted duplicates. I managed to play Crazy Kings for about 30 on my first tour of duty and around 15 minutes on my second with each level taking less than a minute. The uber-short play times make it decent for the most casual among you, who enjoy gaming at stoplights or while peeing. 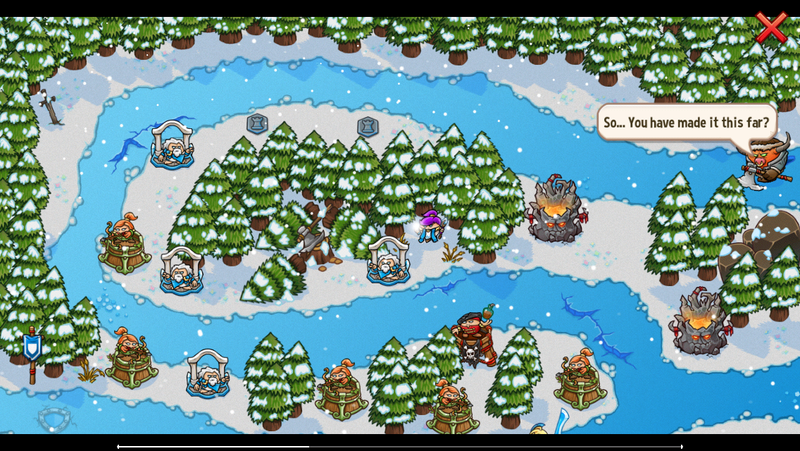 The gameplay itself was reminiscent of Kingdom Rush without all of the running around and yelling of old-timey patriotic phrases mixed with some good old fashioned Plants vs. Zombies with fewer plants and practically no zombies. Every level consists of a room containing a twisty road that maps out a point (or two or three) from which bad guys spill forth. The bad guys proceed to lumber forward in hopes of making it to the good guy end. As the self-purported good guy, the player may: set up battlements at designated bad guy decimating locations; use themselves as moveable implements of death; or even rent the avatar of a friend for an assist in a valiant assassination plot. As enemies die, you can use their angry souls (that is what I always pretend, anyway) to either upgrade your existing units or build new ones depending on your preferred strategy. There is a limit to how many of each that you can use though, so choose carefully. Or just throw stuff out there and hope. I do both and have no discernible in-between. However, the actual strategy behind the game is pretty straight forward: Once encountered, every new enemy is entered in to your Bestiary and every round can be “Scouted” beforehand to see what will lurk within. Each Bestiary entry details a particular evil unit’s weakness even if you didn’t manage to figure it out for yourself. Talk about convenient. On the other end of that, you can own as many offensive cards with as many different kinds of fighting power as the game contains, but you may only bring a few with you at a time so matching the weaknesses of your opponents to the strengths of your army is essential. The enemy armies are strong and fast while most of your guys can’t even be bothered to leave their tiny battle stations, so you’d better make sure that whatever hits, sticks. 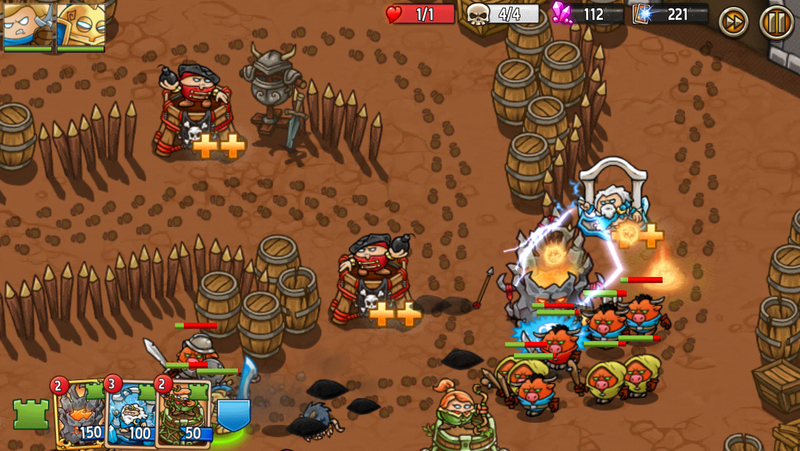 Crazy Kings is a spectacular homage to some of the coolest tower defense games on the App Store and almost manages to completely vault over my F2P hate-wall. As the levels get tougher, it becomes more and more difficult to make the three star mark. Kind of a given, right? Well, playing a round takes like a minute and if you want to perfect said level, you may need to do it a time or five. Five minutes of gameplay doesn’t make me want to buy more lives, it makes me want to find a game that will let me play it for ten minutes, and feels particularly strange framed around the idea of a tower defense game. I would have been happier with Crazy Kings as a premium title, but there are definitely towers worthy of defending here. And hey, at least it won’t take up too much of your time. Next PostNext Native Apple Watch SDK to Be Previewed at WWDC, Better Apple Watch Games Coming Soon?